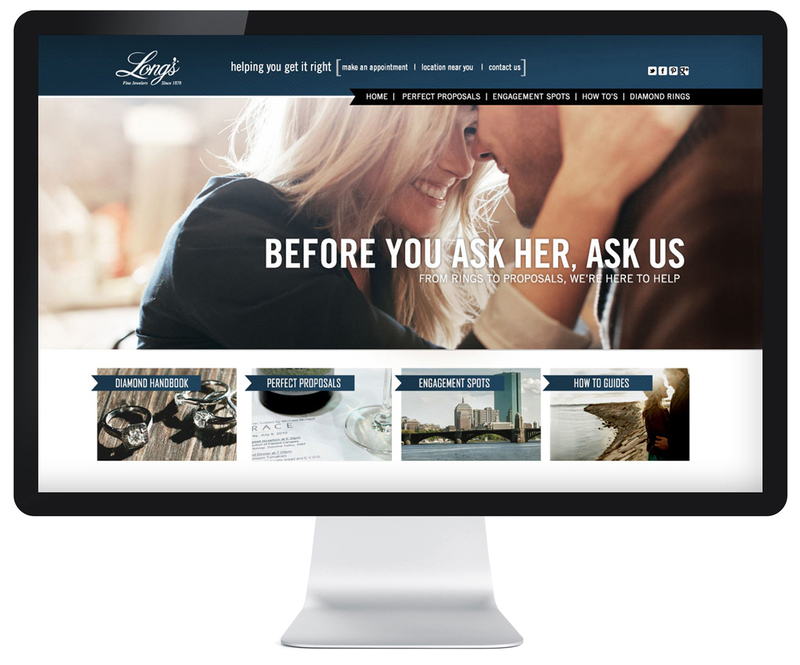 At Long’s Jewelers, I project managed the development of a microsite geared towards engagement ring customers in Boston, MA. 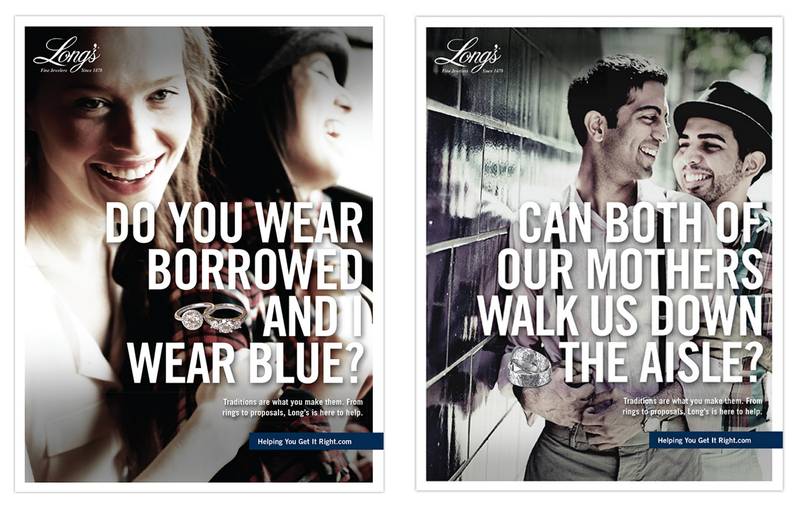 In partnership with the agency Small Army, we created educational and inspirational content geared towards the first time diamond and engagement ring buyer. The site, which was built using WordPress, included proposal ideas, ideal New England locations to pop the question, and tips on what not to do when asking for someone’s hand in marriage, along with plenty of beautiful diamond and ring images for inspiration. The microsite was promoted around the holiday season — the busiest time of year for engagement ring purchases — with a combination of print, online, radio, and outdoor advertising, and significantly drove in-store traffic and sales.